Vixen Pop up Boutiques is launching their own fashion blog and what better way to launch it than with a pop up shop ambiance! Lots of great treats for those in attendance! 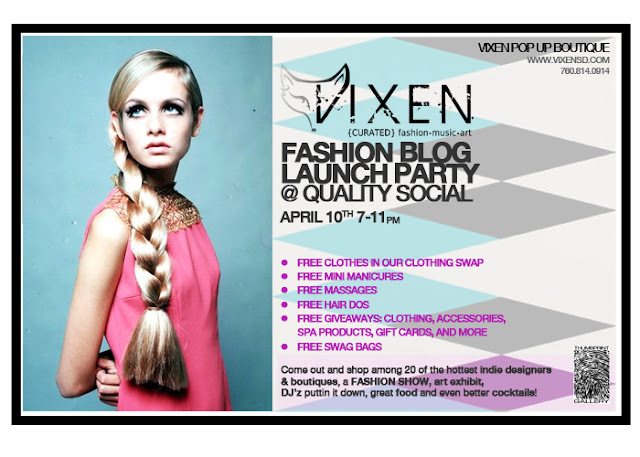 All of the info in the flyer below! Wow sounds like a lot of fun! what's the address? I will be there! Who else an I plan on seeing!? It was a fun event, too bad we missed you. We want to thank you for bringing so many cool people together through your blog. 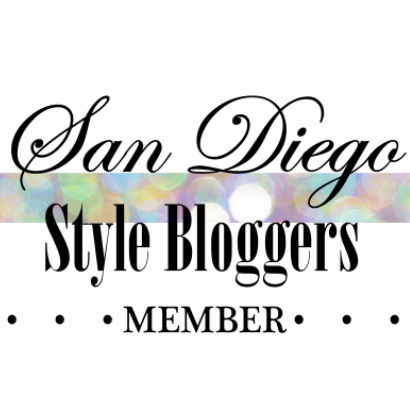 We are proud to be a San Diego Style Blogger member, and we have nominated you for The Versatile Blogger Award in our blog.